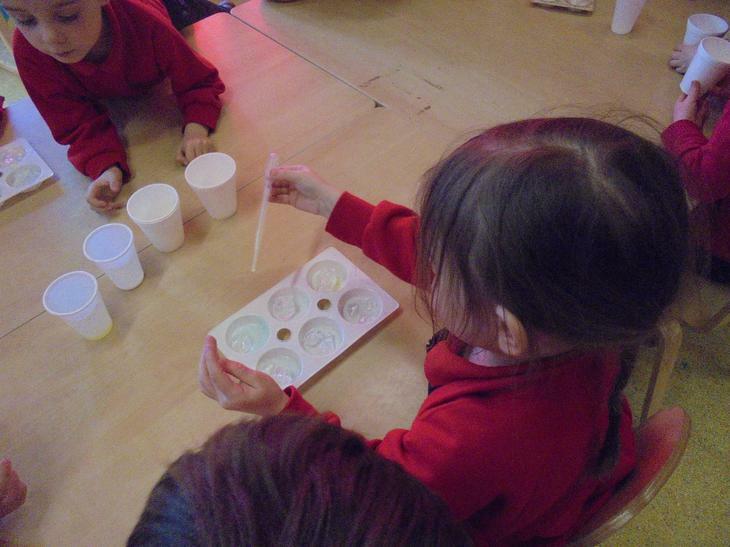 In Year One, we have been performing simple tests and finding out how to investigate in order to answer scientific questions. 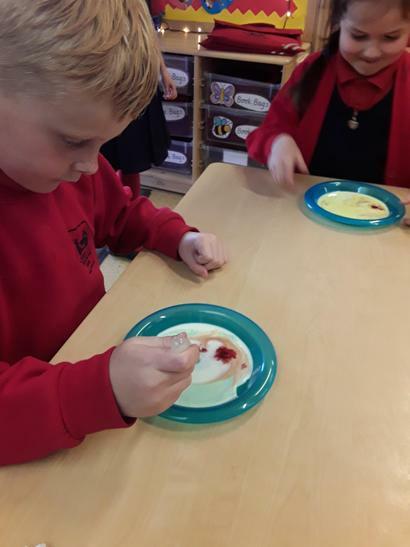 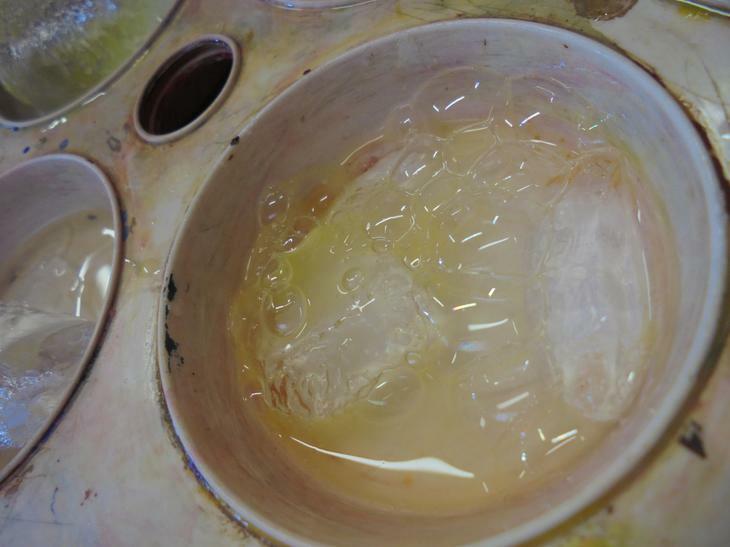 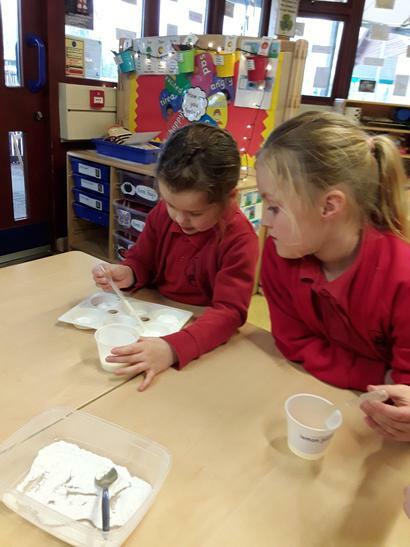 We experimented to see what made ice melt the fastest, to see what happened when we added different liquids to bicarbonate of soda and what the effects of food colouring and washing up liquid had on dishes of milk. 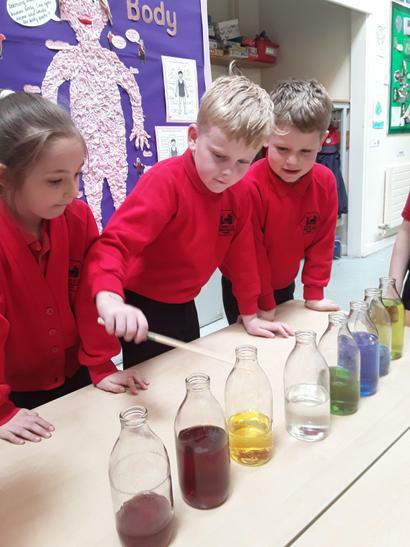 We also had fun with musical milk bottles, finding out what happened to the sound when different amounts of water were in the bottles. 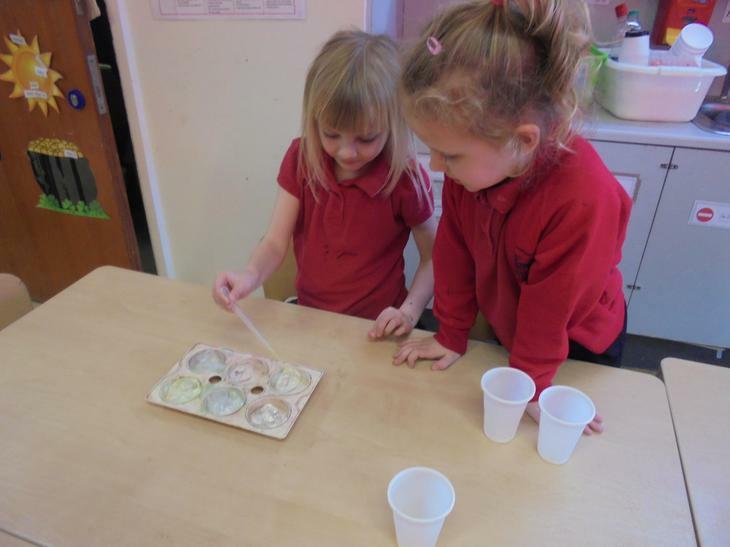 The children used their observation skills as well as identifying, classifying and pattern seeking.